Corporate Law Paralegal Job Description - What Do Paralegals Do? The vast majority of paralegals work in law firms under a lawyer’s supervision. Some might compare a paralegal to a legal administration assistant. The duties of a paralegal who work in a law office can include: drafting documents, preparing retainers, filing motions, and interviewing clients. Looking To Become a Paralegal? Ever wonder what a paralegal job description looks like? Corporate Paralegals ensure that all financial transactions within a corporation are handled properly. Duties may include preparing legal documents and case components, including pleadings, appeals, briefs, and closings for attorneys. 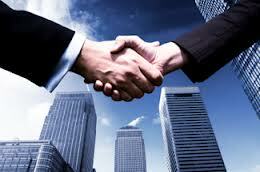 They may also assist in drafting documents, real estate closings and a variety of other matters. Depending on the companies need, paralegals may also be required to help research different matters. Obtain a job as a Corporate Paralegal when you earn a Paralegal degree at Fremont College. It takes just 15 months to complete an associate’s degree in Paralegal Studies, meaning that you will be on your way to an exciting Paralegal career in corporate law in just over a year. The Paralegal degree program at Fremont College provides the real-world legal experience you need to succeed in a Corporate Paralegal job. You will get the chance to conduct actual legal research and participate as a member of an active legal team in the Paralegal program. Enroll today to prepare for a Corporate Paralegal career.